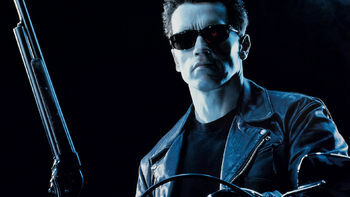 The Five Most Amazing Academic Badasses Of All Time. Wait...what? To be honest, the word ‘academic’ doesn’t really go with the word ‘badass’. At least not in today’s world, where ‘academic’ is almost another word for nerdy, bespectacled, and sometimes Asian. 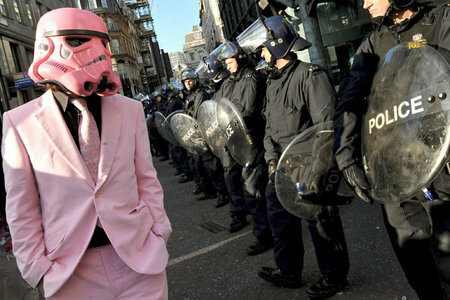 Badass, on the other hand, is reserved for the select few whose pure existence just shouts awesome in your face. People like Kevin Garnett, Jackie Chan, and basically the entire cast of the Expendables. 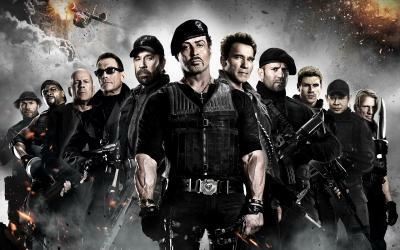 Exhibit A: The badasses, notably including Chuck Norris. Don’t look for him in this picture though, because he will find you first. However, there exist a group of legendary individuals so devilishly brilliant and insanely intelligent that the combined numerical value of their IQs was probably larger than the amount of bullets fired in both episodes of the Expendables. Men who were just so amazing at subjects like philosophy, mathematics and everything they did they’re still dictating popular and academic culture today. 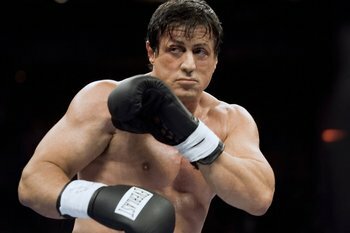 Who were so smart their genius was badass – meaning that they had as much brains as Stallone has muscles. Amongst them are people who built the first ever schools (ok that might have been a mistake, in retrospect), the man who proved that the Earth went around the Sun, and, of course, the great and legendary writer who basically called political leaders pigs and got away with it. 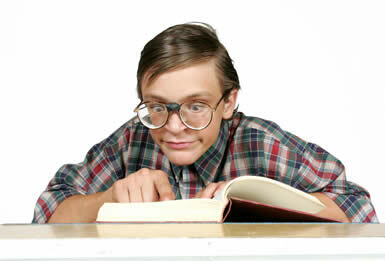 Exhibit B: The academic, as constructed by today’s stereotypes. You might know this guy, because he was so superbly smart he managed to disguise an entire political rant as a children’s book so well they actually allowed it to be taught in schools. Now that is the highest level of censorship avoidance. Yes, I’m talking about the author of Animal Farm, which, published in 1945, was a story that basically lambasted the communist regime so strongly Stalin was probably busy applying cold water to his burnt areas after reading it. And Orwell did it without explicitly saying so, so they couldn’t quite arrest him for it without admitting they were guilty of everything he was calling them out for. Read: pure, absolute genius. Note: If you haven’t read that book, please take some time off this article to finish it before coming back. Some things are just more important than others. Orwell, dressed in his white imperial police uniform, inspecting his subordinates. He eventually became an Assistant District Superintendent due to his awesomeness, but was too pissed off with poverty to not do anything about it. So he set out to do battle against all the unfairness and injustice in society, because there was never any doubt he’d win. Now the problem was, in order to write a book on something, you pretty much need to know it well enough. And Orwell, clearly too amazing for something like poverty to ever touch, didn’t. So he decided to make poverty his best friend. 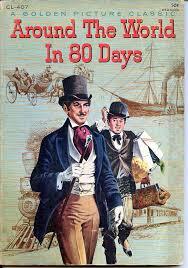 He spent most of his days ‘tramping’, or in other words, dressing like a hobo and going around doing whatever a hobo does. He didn’t care about no middle-class expectations, he just did whatever he wanted. And that also included trying to get into prison in 1931, just to see what it was like. But they turned him down, possibly because they couldn’t find a jail cell big enough to house his gigantic…wit. And when he wasn’t busy being poor and doing other things that no one else who had a choice would choose to do, Orwell decided to fight in the Spanish Civil War in 1936. (Ok that too is something no one else would optionally do, at least not in today’s society where people are all trying to avoid national service.) So he arrived in the heart of the war saying, “I’ve come to fight against Fascism”, which, to me, is clearly more badass than totally running away and saying “I’ll be back”. If you think a writer and intellectual clearly was disadvantaged in a war involving things such as physical activity, then you’re wrong. There are accounts of Orwell chasing down another soldier with a bayonet and bombing out an enemy position. Stuff that Rambo does, basically. And how about the fact that he survived the war? Surely Orwell had no weakness. Unfortunately, at some point in time the Afterlife decided that Orwell was too awesome to not be part of it. So it began throwing tuberculosis at him in 1947 – lots of it. So much so that it actually started to, y’know, affect him. 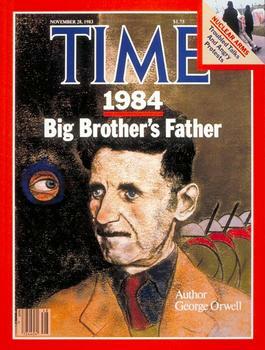 In that time, though, Orwell continued to do just whatever he wanted, finishing his masterpiece Nineteen Eighty Four, and got it published before the Afterlife finally won in 1949. For a typical person, writing while battling a life-threatening disease probably involves a lot more blood and snot than ink and paper. Orwell’s book, however, came to be one of the best literary works of ALL TIME. I’m not sure if you got that so I’ll say it again: ALL TIME, meaning in two thousand years when people are busy floating around on pure energy and playing Angry Birds on their iPhone 250s, his book is still going to be read, studied, and treated like the sacred piece of badassism it is. Note: If you haven’t read Nineteen Eighty Four, you know what to do. It was and still is a great pity to mankind that a flame of justice and a prolific mouthpiece of societal ills passed away at the age of 46. #2: Plato – All Your Teachers’ Teacher. Plato lived in an era slightly distant from ours: 428-348 B.C., when the years were still counted backwards numerically. This means he didn’t have any of the technology we take for granted, including Google, Wikipedia, and public utilities. Keep that in mind as we move on to all the insane things he did. Like starting the one of the earliest known schools. Schools did exist before that, to be specific, but Plato’s Academy actually had things like walls, and, just so it could be that much more amazing, didn’t charge any fees whatsoever. How’s that for a business model eh, [insert unnamed commercialised school here]? In a sense, he’s responsible for the education we get to receive today (Yay?). That’s pretty amazing you know, since you generally don’t wake up one day and decide to change the lives of people two thousand years later. 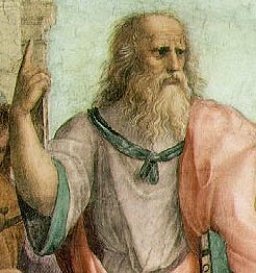 And when he wasn’t occupied with pre-emptively engineering untold misery for children aged 20 and under for millennia to come, Plato wrote a series of books and treatises on philosophy, in which he tried to tell others how to think so they could attain a little more of the genius he himself had. The Republic, as one of these works is known, sought to explore what justice was. It was likely the result of him sitting down one day and setting a question for himself to that read “Define justice [50m]”. So he produced 10 volumes to answer that question. Well, yea. He probably exceeded the word limit, but it’s safe to say he broke the marks ceiling too. Because 50/50 is totally possible if you’re a Plato. I highly recommend you spend some time browsing through The Republic, but I won’t make it as compulsory, because of the potential medical and psychological implications of doing that. And yes, he used the word Republic way before it was cool. Now almost every single country in the world, including even the Democratic People’s Republic of Korea (that’s North Korea btw), is ripping it off from him, probably as an attempt to suggest they are at least partly as just and badass as Plato was. Now you’re thinking that Plato was a skinny old man who sat on stone chairs and thought about the world, aren’t you? Wrong, because he was also a total jock at wrestling in his earlier years. He reputedly got his name from the word Platori, meaning broad, after his coach noticed how his muscles were almost as colossal as his brain. Rumours say he wrestled in the Isthmian games, which were like the Olympic games, only more badass because Plato was in them. I can’t stop myself from imagining that he’d be throwing the hurt on all his opponents while simultaneously deconstructing how weak the logos, ethos and pathos of their punches were. Pictured: Plato on the ring in his younger days, doubting the validity of his opponent’s ‘arguments’. #3: Aristotle – All Men by Nature Desire Knowledge. 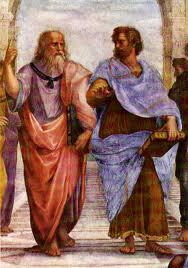 Aristotle (right) with his homey teacher Plato, talking about what they wanted to make the world become in two thousand years. And Aristotle was the teacher of none other than Alexander the Great. I mean, if your student goes on to conquer pretty much the whole of Western Europe and goes down in history as abc THE GREAT, I guess you’re also pretty much worthy of the title abc the EVEN GREATER. Even his name shouts awesome. I mean, why else would all those royals and nobles decide to call themselves the aristo-crats? Clearly they were all wannabes in Aristotle’s massive fanclub. Perhaps they believed associating themselves with the alpha and the omega that was Aristotle would lend some legitimacy to their rule. His contributions are listed to be in the fields of logic, biology, physics, metaphysics, geology, *stops to catch my breath, medicine, philosophy and history. That’s basically the equivalent of doing 8 degrees and getting First Class Honours in ALL OF THEM. Did I mention that one of them is medicine? What a typical medical student does. His contributions are so limitless that for me to list them all here would be like trying to count the stars of badass in the infinite universe of Aristotle’s boundless mind – you take half of forever, and before you succeed you die of the sheer brilliance you subject yourself to. He was so badass he basically “left every future scientist and philosopher in his debt.” (Wiki) This means if Aristotle were still alive, he’d be richer than 5000% of the top 1% because every single scientist and philosopher since freaking 322 B.C. would be spending their lives paying dues to him. Scientists AND philosophers. That pretty much includes every smart guy in the world! To put things in perspective though, Aristotle did stay at the Academy for about twenty years, till he was 38, to do all that academic world changing he did. But he apparently got fed up with the administration (after Plato died and the whole Academy took a -10 to the Scale of Badass) and just left. Getting fed up with the administration? That’s a +1 to Badassery anyday! And by just leaving, I mean he went all the way to Asia Minor. Now recall that he lived in a time where the best mode of transportation was probably a chariot drawn by some distant descendant of Shadowfax. I can’t imagine that going to Asia involved anything less than a journey which Jules Verne would’ve been proud to document. Maybe he inspired this book too. Once there, Aristotle went back to his favourite pastime – doing just whatever he wanted and being awesome at it – so he went to an island called Lesbos (likely finding this island’s name worthy of further study) and researched zoology and botany. Because you don’t need prior experience in any subject if you’re Aristotle. He eventually started his own school, called the Lyceum, so he could share some of the intelligence that was clearly overflowing from his brain. In his later years though, Aristotle had accumulated so much amazing that his own student, Alexander the Great, began to dislike him for speaking out against his inhumane ways, and apparently started threatening Aristotle in letters. Totally uncool way to treat your teacher, if you ask me. So Aristotle did what any typical amazing academic genius would do when threatened by a tyrant King who was also 29 years younger – outlive his adversary. Alexander somehow died before Aristotle due to mysterious reasons. 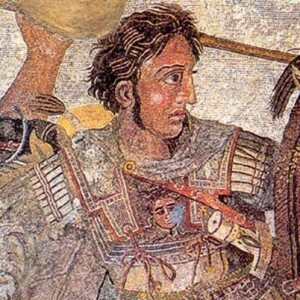 Conspiracy theories link Aristotle to Alexander’s death, but clearly even if this was true Aristotle was too amazing to leave behind any compelling evidence. Not so great after all eh Alexander? He eventually went out the typical badass way – of natural causes whilst the entire of Athens was persecuting him for apparently not honouring the gods or something that obviously he was too incredible to do. He also said: “The worst form of inequality is to try to make unequal things equal”, which could’ve been his way of telling us “you all are obviously not equal to me, so don’t even try”. #4: Rene Descartes – I think, therefore I am. He totally looks like V. Or rather V looks like him. That instantly makes him badass. The next dude on our badass list is here because he flatly refused to believe anyone but himself and, as it turned out, was right. Cogito ergo sum, you might have heard before, or I think, therefore I am (one thousand times better than all of you combined). 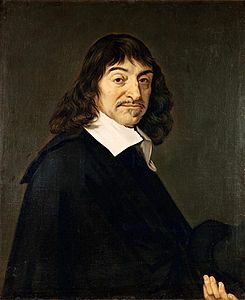 Besides having an infinitely awesome name that few people could pronounce right, Descartes was a French philosopher and all round amazing dude who lived circa 1650. Yup, still no Google. His claim to fame was being an absolute whiz in philosophy AND maths, something which honestly seems next to impossible nowadays, when Arts students are known for their difficulties with maths and Science students are known for their difficulties with Arts. Not only was he tremendous at both, he actually believed that metaphysics and science was the root of philosophy. Like, you actually become better at Arts when you’re better at Science. Wow! Clearly he wouldn’t have liked the dichotomy we’ve imposed between the two in recent times. Still, it’s amazing to think that the guy who famously said “except our own thoughts, nothing is absolutely within our power” also invented the Cartesian plane (you didn’t realise it was named after him did you? Neither did I). And because most academic badasses, as we have seen, typically also have side hobbies that involve physically kicking others’ butts, Descartes was a member of the Army of Nassau in 1618. 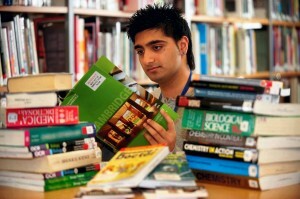 Because he didn’t see much action, however, he spent his spare time studying maths. Because there was nothing much else to do in an era without these anyway. Eventually he decided that all the awesome in his mind was going nowhere if he didn’t tell others about it, so he starting writing treatises on emotion. Before he began, though, he made sure to tell the world that the stuff he wrote would be completely more monumental than everything that’s ever been written by saying that he would write on these issues “as if no one had written on these matters before”. This put him in conflict with other established academic badasses of the time, including Hobbes, Locke, Rousseau and Hume – all of whom were contenders for a place in this article. That probably made Descartes pause for about 3 seconds before he deciding he totally didn’t care. 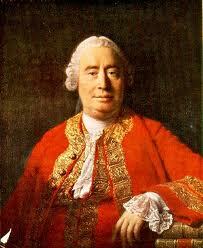 Pictured: David Hume, who was so insanely great at writing essays he was writing essays on how to write essays. Not that Descartes cared. Did I mention that his Meditations on First Philosophy continues to be a standard text in most philosophy courses? That was published in 1641. 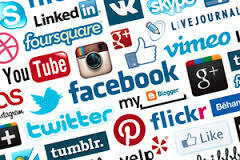 How many things have you done today that will be studied by everyone half a millennium later? In 1663 though, his badassery came into conflict with the church, and the Pope placed his works on the Index of Prohibited Books, which is generally where your books could end up if they cross an arbitrary line on the Scale of Badass. I’m not saying that the Pope was wrong, just that the act of placing his books on this index was perhaps misguided. Is just fascinating. 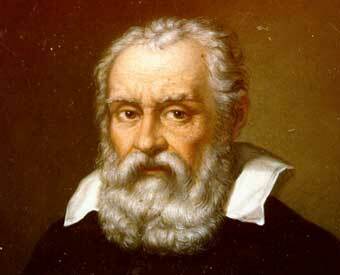 Because he is known as the father of modern observational astronomy, modern physics, science, AND modern science. His extremely virile and therefore awesome brain fathered more sophisticated academic concepts than most males would father children, so don’t go comparing his brain to…any part of you at all. You might already know this, but Galileo was basically the dude who stepped up and said, “Hey guys, did anyone else notice the Earth revolves around the Sun?” But instead of standing in awe at the truth in that epiphany and celebrating him for the legend he was, the other people just started to laugh at him. Not that he gave a single beaver dam about it. He just went on to write a whole paper defending it. Sadly though, he didn’t actually manage to convince his time that he was right, because petty things like other people’s beliefs got in the way. But we know who’s right now, and he’s probably still laughing from the Afterlife about it. Now that is just a mind blasting fact. How on earth do you stand up and tell the entire world that it’s wrong? How do you tell scores and thousands of academics armed with their research and logic and degrees that you disagree with them and you’re right? Now typical people like you and I probably couldn’t, but not Galileo because he knew he was just too overflowingly brilliant to be wrong about anything. Hi, I’d just like to say that you all are horribly mistaken. Eventually he, like fellow badass Descartes, got on the wrong side of the Pope’s books too for championing arguments which apparently made him “vehemently suspect of heresy”. Most of his works which revolved around the Earth revolving around the Sun got placed in the Index of Prohibited Books (which now seems like it should be renamed The List of Books You Should Totally Read). So they put him in house arrest and tried to force him to recant. In other words, they found him too imba and tried to nerf him. But did they succeed? Clearly not, because admitting your own mistake when everyone says you’re wrong was too mainstream for Galileo. In the peace and tranquillity of house arrest he produced one of his finest works, Mathematical Discourses Concerning Two New Sciences, where he basically invents Two New Sciences – known today as kinematics and materials science. So he just decides to pull these out from thin air. How do you even do that? 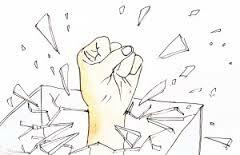 While the other people in his life failed to get him, though, the forces of nature succeeded. By 1638 he was completely blind, presumably because he had seen so much more than a normal man could see in his lifetime, and died by 1642 due to heart issues and other petty things the Afterlife tried to nerf him with. 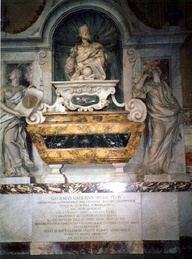 Initially they wanted to give him the badass burial he deserved by putting him in a marble mausoleum, but because other people got in the way again, they decided that suspected heretic should be buried in a far less awesome room next to a novice’s chapel. Fortunately, they eventually realised how ridiculous this was and reinstated him to a proper place in 1737, after making a monument in his honour. Yay (slightly more modern) other people! I’d imagine two giant, ornate letters are inscribed on this monument: his totally badass initials GG, which is the only appropriate thing to say if you ever find yourself on the wrong side of this guy’s Gigantic Geni...Genius. if there’s one thing we can learn from these 5 amazing people, it’s that we can become infinitely more awesome than we think we are. These people were humans too, equal to us, no doubt far more equal than us as well. It’s not like they had two brains, you know, except they loved what they did, and persisted even when the world was against them. They loved it so much they studied it in their spare time, spent their entire lives on it, and made contributions are so legendary they’re still shaping society. On the other hand, modern society is preoccupied with looks, grades, bad dancing and other first world problems. We could spend our time exploring how amazing people like Orwell were, but we’d rather monitor the private lives of Justin Bieber and Selena Gomez. Uncool. If only Descartes was still alive, because I’d totally follow him on twitter. 1. Have a badass name or give one to yourself. 2. Do whatever you want and do it amazing. 3. 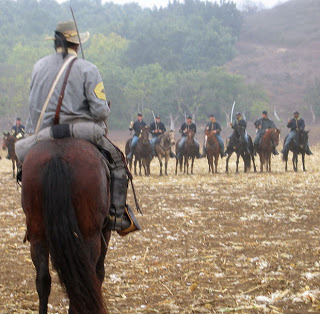 Have a side hobby in activities which involve establishing your unquestionable physical superiority over others, just in case they start to think you’re a nerd. 4. Don’t care about other people (if you know you’re right). 5. Do things which contribute to society and help other people even though technically you don’t care about them. Disclosure: A large proportion of facts and events in this article are referenced from Wikipedia. As such, it is about as reliable historically as Wikipedia is. There has also been a slight amount of embellishment and exaggeration in this article, in case you did not notice. Therefore, do take things here with a pinch of salt and don’t rely on it for any academic papers. Rely on what those guys above said instead, and you will go far.